A new baby has kept me busier than I ever imagined but it doesn’t mean that obligations outside of the home have stopped. When I have outings – whether it is meeting with a client or coffee with friends – it is important for me to look and feel put together. However, figuring out what to wear during the first few months after giving birth can be difficult because maternity clothes are too big but regular clothes don’t quite fit. In light of this, I searched and discovered pieces that work well as transition items. They have stretch, make nursing easy and flatter my new shape. 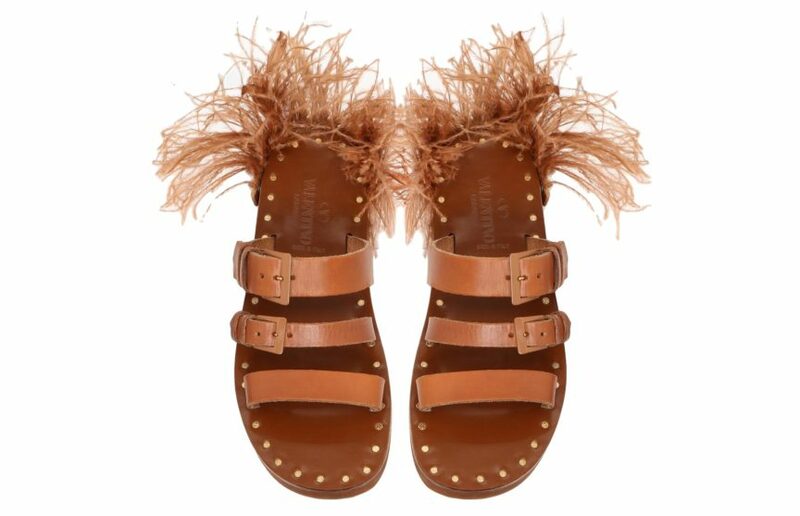 VALENTINO SHOE | Accessories are always important, and work especially well during and after pregnancy. They provide for a good distraction, if wanted. This shoe is sturdy enough for you to cart around your new baby yet still is pretty. The feather accent is great for Spring! 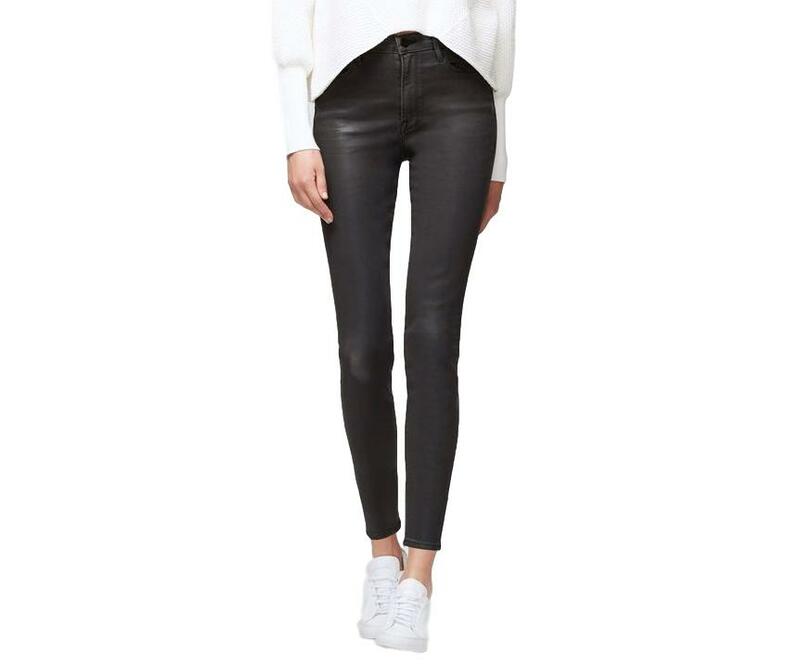 FRAME ALI HIGH RISE COATED CIGARETTE – STONE COATED | This is the perfect post pregnancy jean. The stretch is forgiving and the super high waist is reminiscent of a maternity jean but definitely not! It is comfortable but doesn’t look like a “mom jean”. FRANK & EILEEN TOPS | These tops have three positive points. One: they are not fitted yet they are very flattering. Two: the button placement is just right for nursing. Three: they are easy to throw on for a put together look. 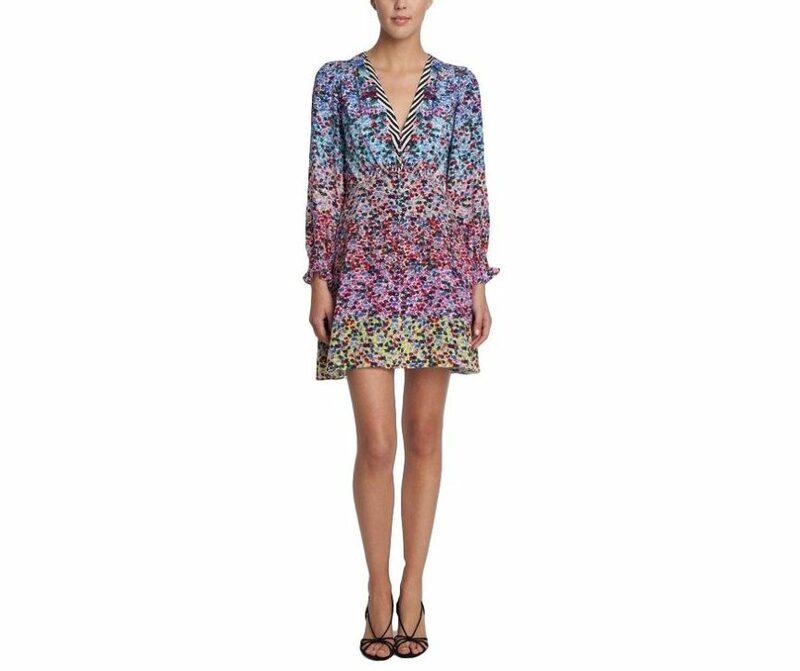 SALONI – EVE MINI RAINBOW GARDENIA DRESS | Some days a dress with a good print is the answer! 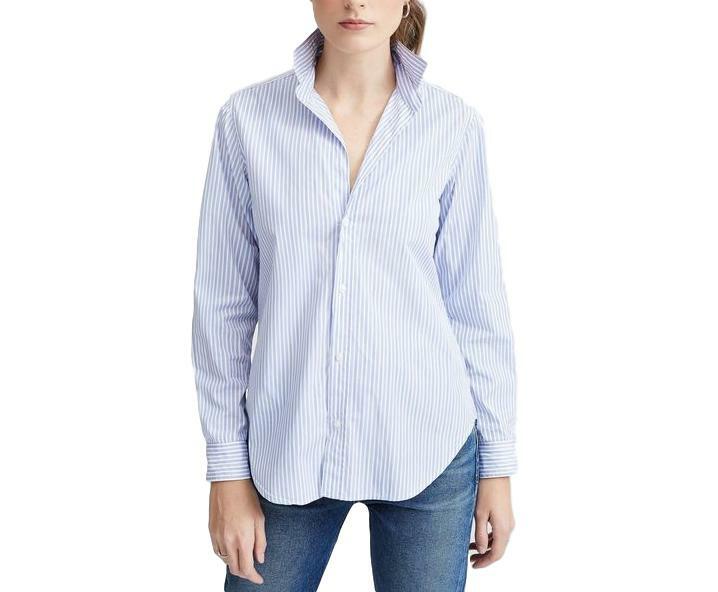 Saloni offers a line of easy dresses that are not fitted but still give you a good shape. KIT AND ACE | When I’m lounging with the baby I want comfortable, quality clothes. 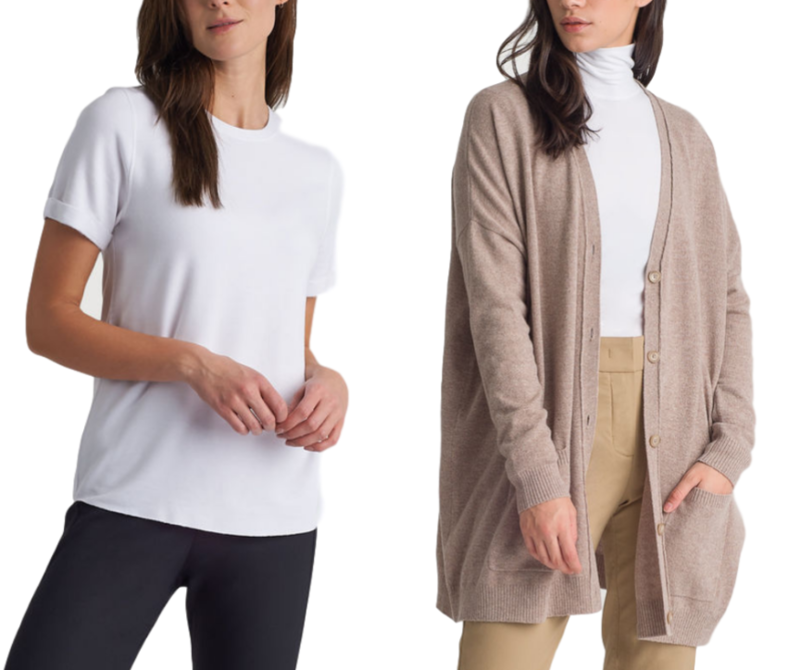 I’ve found some favorites from Kit and Ace including a brushed crew tee (boxy but cute) and the travel cardigan (that is cozy and feels more expensive than it is). WOLFORD 66 CONTROL TOP TIGHTS | This is the ultimate tight. It will look and feel great under all your dresses until it’s warm enough for a bare leg. BEYOND YOGA COLORBLOCKED HIGH WAISTED LONG LEGGING | This is your next legging when the maternity leggings start to fall down. The fabric is soft while the high waist and colorblock panels are slimming.